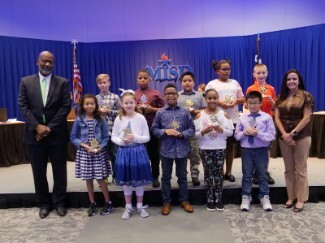 Each month during the school year, students from MISD are selected to receive the Superintendent’s Star Award for outstanding citizenship. Demetrius McClendon II was this month's Superintendent's Star Award. Demetrius, a 4th grader, was chosen from Annette Perry based on the virtues of outstanding character: citizenship, fairness, honesty, kindness, respect, responsibility, and trustworthiness. He is certainly deserving of such an honor to represent Perry. We are proud of Demetrius!